This webpage is an online version of HGIC 1404. It was prepared by Marjan Kluepfel, HGIC Information Specialist, and Bob Polomski, Extension Consumer Horticulturist at Clemson University. 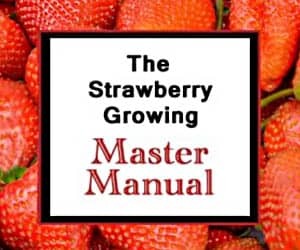 Although the document deals specifically with the ins and outs of growing strawberry plants in South Carolina, the information contained within is applicable to any region with growing conditions similar to those in SC. 1. A brief discussion of the growth cycle of strawberries is presented. The effects of temperature and hours of daylight are mentioned, as are the significant developmental events. 2. An overview of the major strawberry types grown in South Carolina is presented. The differences between June-bearing strawberries and everbearing strawberries are mentioned. Instructions on how to evaluate and choose a strawberry cultivar for growing at home are also provided. 3. The common problems strawberry plants in South Carolina experience are mentioned. These include: fruit rots caused by anthracnose and gray mold, diseases of the leaf (spot, blight, scorch), root and crown diseases (black rot and red stele), and strawberry viruses. Strawberry pests are mentioned and include: slugs, snails, mites, weevils, and aphids. Buyers are encouraged to only purchase certified, disease-free plants. 4. A helpful table of June-bearing recommended strawberry varieties for South Carolina is presented. The table is excerpted from the South Carolina Master Gardener Training Manual. The recommended varieties are: Albritton, Apollo, Cardinal, Chandler, Delite, Douglas, Earliglow, Fla 90, Sunrise, Surecrop, Tioga. The chart lists whether each variety is early-season, mid-season, or late-season. Additionally noted is the region of South Carolina in which each cultivar grows best. The regions are divided into the Mountain region, Piedmont region, Sandhills and Ridge region, Coastal Plain region. If you are not from South Carolina and are seeking to find out which strawberry variety would grow well in your area, see here: Recommended Strawberry Varieties by State. I live in Beaufort and want to plant strawberries for a ground cover. I’m considering Fragaria Chiloensis (coastal strawberry). Does anyone know the likelihood of success, and also if there us a supplier for seeds or plants in the Southeastern US? THIS IS MY FIRST TIME TRYING TO GROW STRAWBERRIES SO I JUST PURCHASED ONE POT OF THE EVER BEARING TO SEE HOW IT GOES. ALREADY AND 16 BERRIES, TWO ARE GOOD SIZE. I PLAN TO PLANT IT LATE THIS EVENING. ANY HELP WOULD BE APPRECIATED!! I would recommend just planting it as is. Trying to separate them at this point might disrupt their production. Good luck!